It has virtually no problems with warping. The hot plastic smells like pancakes! I'm now continuing the process of upgrading my bot by building a Z-Rider to go along with my new lowrider. Here's the first plate of PLA parts I've made for the project. 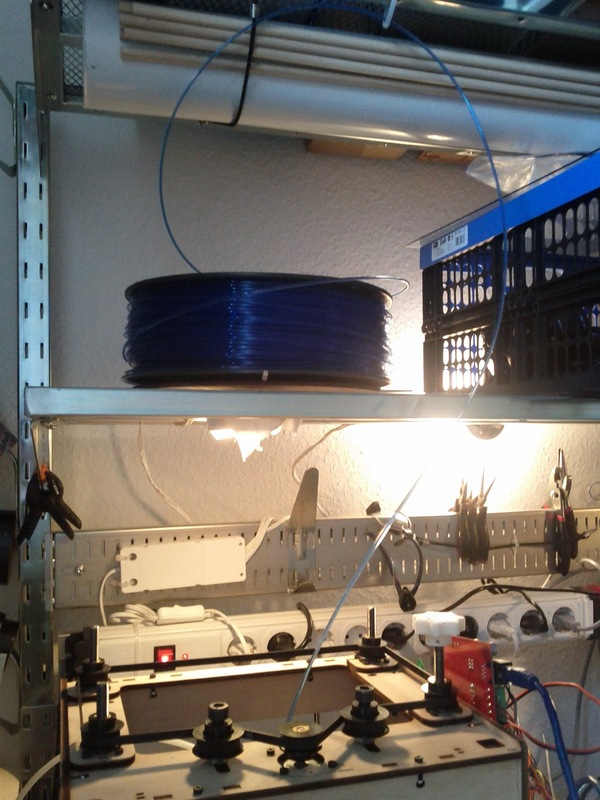 a MakerGear stepper plastruder heated to 180° C.
I actually didn't have to change any of my Skeinforge settings. However, I'm finding that I need to change my reversal settings as PLA is a bit stringier. The printed parts are soft immediately after printing. I simply let them cool for a few minutes and then tap them with a wrench to separate them from the build platform. I've had no problems with warping. 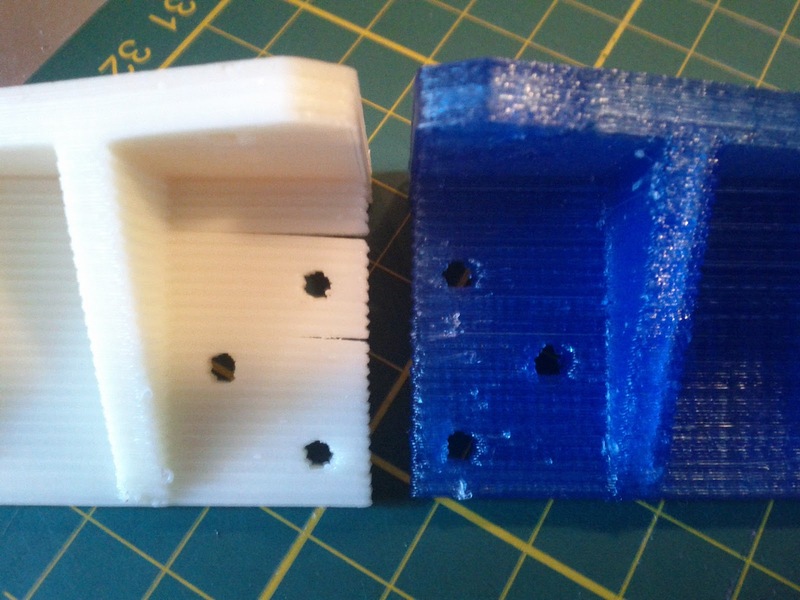 For example, here's the mirror image of the part I just printed. Although the base is perfectly flat on both (my ABS prints stick like glue at 140° C on Kapton cleaned with acetone), the layers separated higher up on the ABS part. I believe this could be solved by covering up the sides of my MakerBot. However, now it looks like I won't have to. 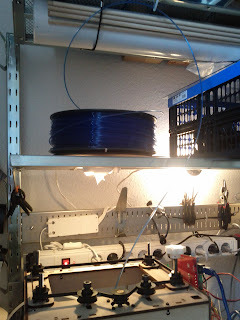 I've read that there are two types of people who print with PLA: those who print on glass and those who haven't tried. Laura found some plate glass at the flea market a month ago, so I cut off a piece and started with it straight away. Like others, I'm very pleased with the results. Another great thing about glass is that it's perfectly flat. My HBP has a slight curve in it that makes it difficult to print raftless. Now that I'm printing on glass, I level my platform in three spots and I'm done.